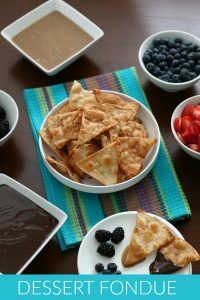 Fondue has long been known as a communal pot where dipping long-stemmed forks with bread into the cheese is quite popular. 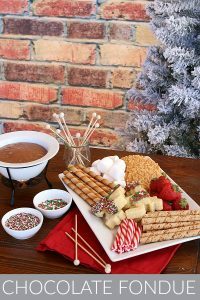 Since the 1950’s though, the name fondue has been generalized to other dishes such as Chocolate Fondue. It all sounds rather fancy, but is actually very easy. 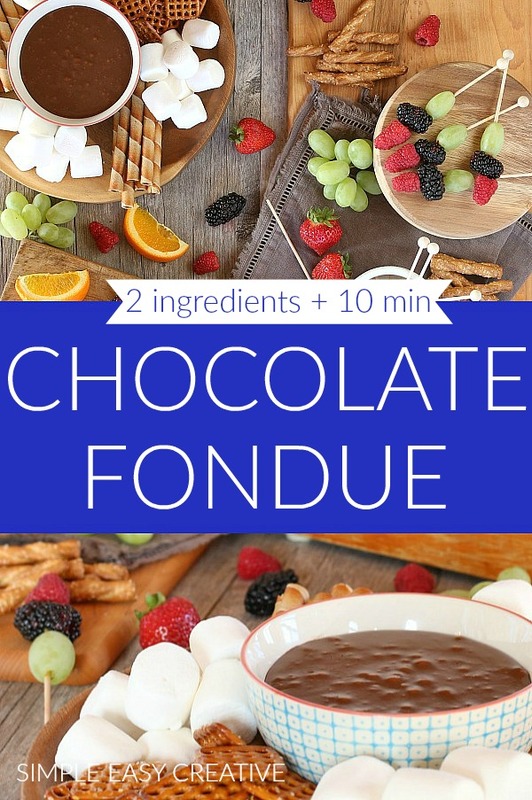 This Chocolate Fondue has only 2 ingredients and takes less than 10 minutes to put together. 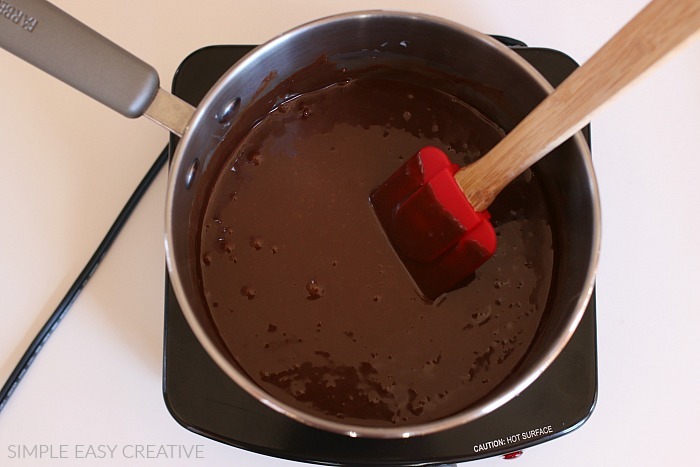 After making the Chocolate Fondue, you can add it to this fun Chocolate Fondue Maker. 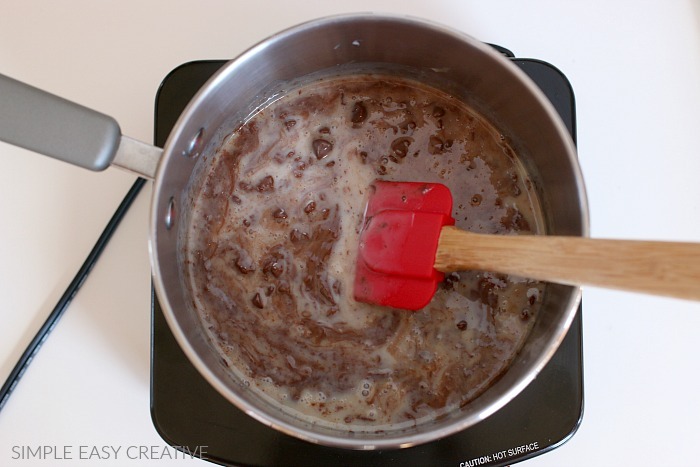 Or if you don’t have one, just melt the chocolate with a can of Sweetened Condensed Milk on the stove for this fun treat. 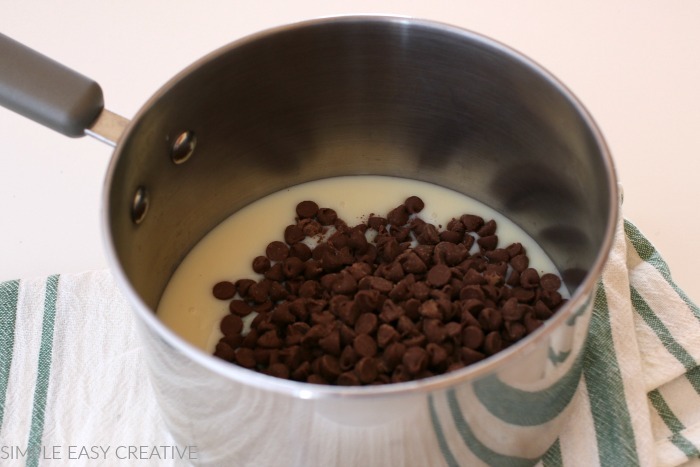 Mixture should be thick and creamy. Now you can transfer it to a bowl or fondue pot. 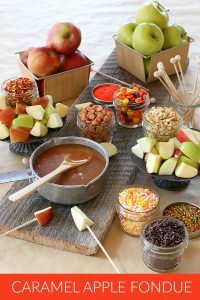 You will also need skewers of some kind to dip with. And you can add fruit to some of them ahead of time. I like these skewers that are used for making rock candy. My boys love Fondue, especially for a special occasion. Over the last several years, we have been enjoying Fondue for Valentine’s Day. It’s a delicious treat on a special day for the whole family. And this year we had it on Christmas and New Year’s Eve. 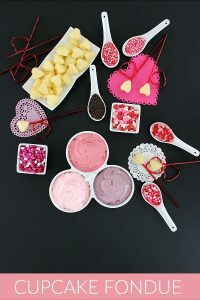 Perhaps you are Cooking for Two for Valentine’s Day, Fondue is perfect. 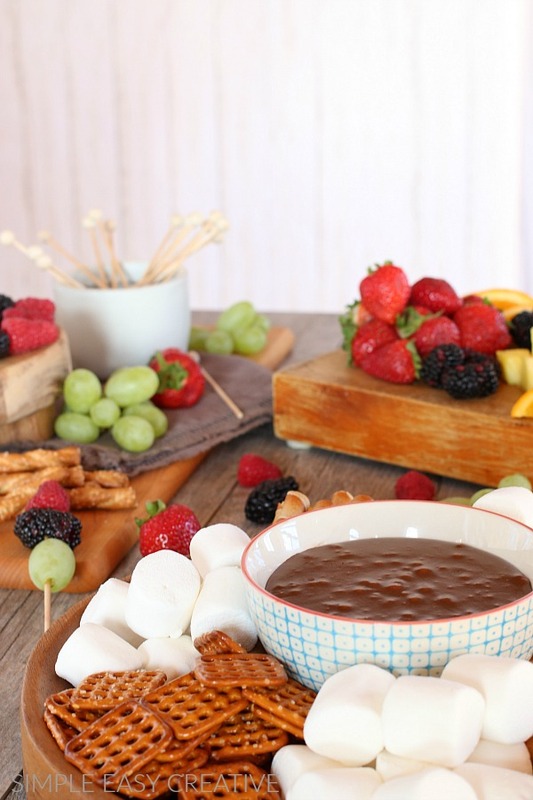 And for dessert, Chocolate Fondue with Marshmallows, Fruit and Cookies for dipping. 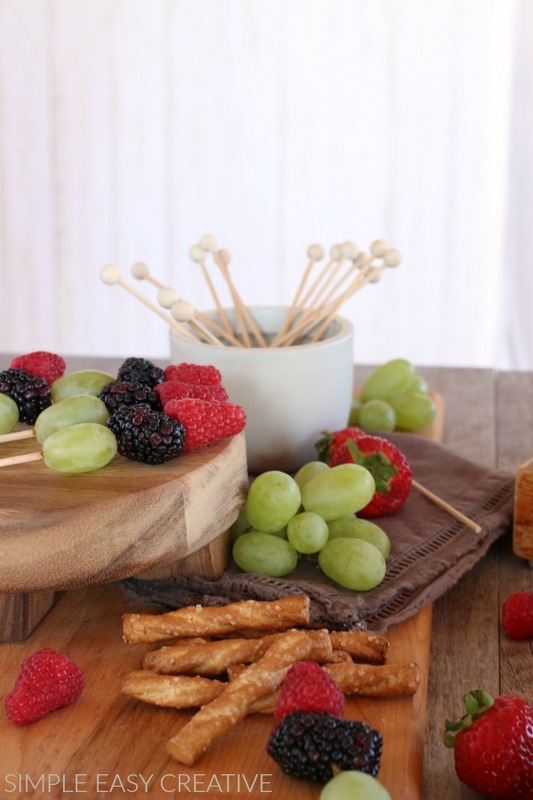 Let the fun begin with this 2 ingredient treat for any occasion. Hi Jennifer, sorry you had trouble. 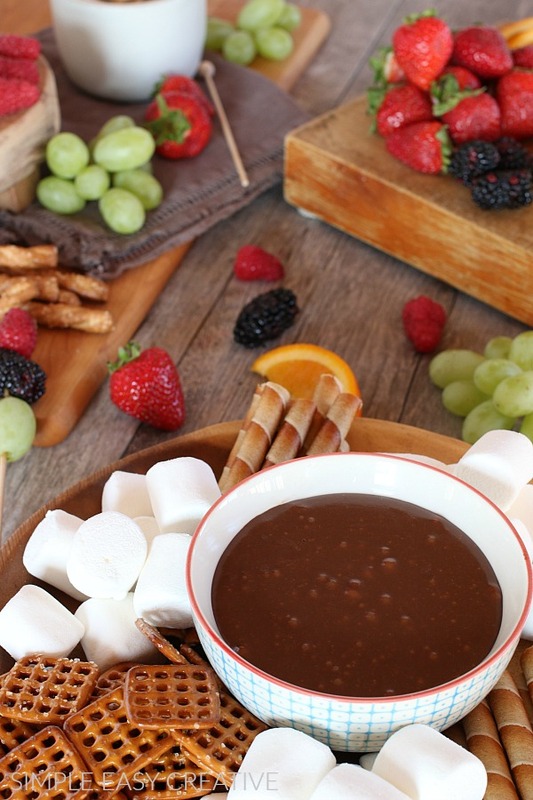 We did not make this recipe for a fondue fountain. Can I just make it in the pot or do I have to do it on the stove? Hi Christine, as long as your pot is very hot, it should work. 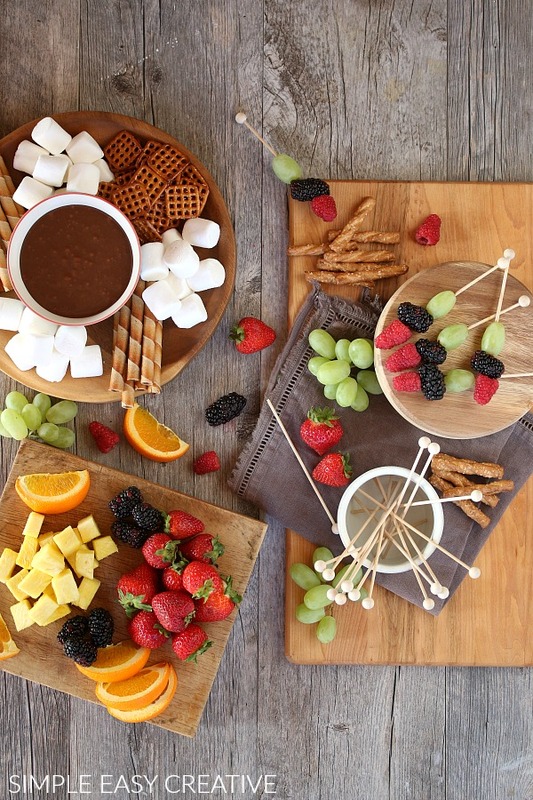 We always do fondue for Valentine’s Day! Thanks for the recipe. Pinned. I love super easy desserts, thank you! Such a quick and easy date idea for Valentine’s day. Thank you for sharing at Merry Monday!